The beautiful Tuscan town of Arezzo, believed to have been one of the twelve most important Etruscan cities, is a popular destination for tourists in Tuscany. For those wanting to spend a vacation here Tuscany Holiday Rent has holiday accommodations in Arezzo as well as in its lovely surroundings, such as Cortona. A great opportunity for those interested in visiting the town’s many sights as well as exploring its interesting events. And right now we have to report that to mark the fifth centenary of the birth of Giorgio Vasari, two major exhibitions are being held in the birthplace of this great Italian painter, architect, writer and historian. Until the 11th December, in fact, the Civic Museum of Modern and Contemporary Art of Arezzo is hosting “Giorgio Vasari Illustrator and Painter 1511-1574. Learning, care and loving fatigue”. Here are gathered famous works as well as absolute novelties for the public, in order to retrace the main events and the stylistic evolution of Vasari. 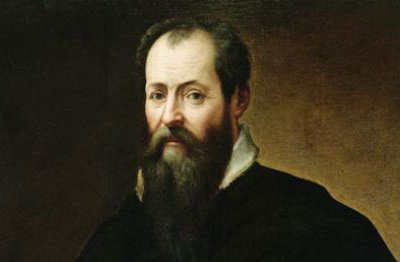 As well as masterpieces from the Louvre, the Uffizi Gallery and private collections also an original letter of Michelangelo writing to Cosimo I, commenting on Vasari’s project for the Palazzo Vecchio. 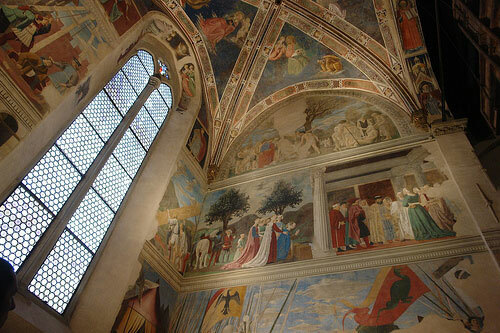 Until the 9th January 2012, instead, in the Lower Church of the medieval Basilica of San Francesco, one can admire the exhibition “Rousing the souls of many to wonderful deeds. The Primacy of the Tuscans in Vasari’s ‘Lives’”. This exhibition reconstructs the path of art and architecture from Cimabue to Michelangelo, drawn though the protagonists of Vasari’s “Lives of the Most Eminent Painters, Sculptors and Architects”. Considered the foundation of art-historical writing, this encyclopaedic biography of Italian artists, first published in 1550, also includes a valuable treatise on the technical methods employed in the arts. The show starts with those Vasari considered the forerunners of modern Mannerism and proceeds until its triumph with Michelangelo. Over 60 masterpieces of the main Tuscan artists such as Cimabue, Arnolfo, Giotto, Duccio, Masaccio, Paolo Uccello, Francesco di Giorgio Martini, Botticelli, Leonardo, Michelangelo and Rosso Fiorentino are on show. For those who want to continue this investigation of Giorgio Vasari we also suggest a visit to his house in the city centre, Casa Vasari, rebuilt by Vasari himself between 1540 and 1548 from an older house. Today a museum containing Vasari’s archives, the biographer actually frescoed the main rooms himself, and in the drawing room, one can admire his remarkable portrayal of an artist’s journey through life with ancient gods protecting the artistic virtues. Arezzo, hometown of Giorgio Vasari, but not only. Questa voce è stata pubblicata in Art and accommodations, Culture in Tuscany. Contrassegna il permalink.